The holidays are right around the corner and I'm so excited to share some of the very BEST holiday ideas all in one place with you! I'm delighted to be teaming up with the Dating Divas and 31 other bloggers for this amazing sale. And of course we have a fantastic deal for you so you can get in on all that awesomeness. But, you see that lovely little timer below? Well it's ticking down FAST! And when it hits zero, this deal is over for good. We are hooking you up with everything you need for Thanksgiving, Christmas, and New Years! I teamed up with 32 extremely talented bloggers and designers to create the ULTIMATE Holiday bundle! 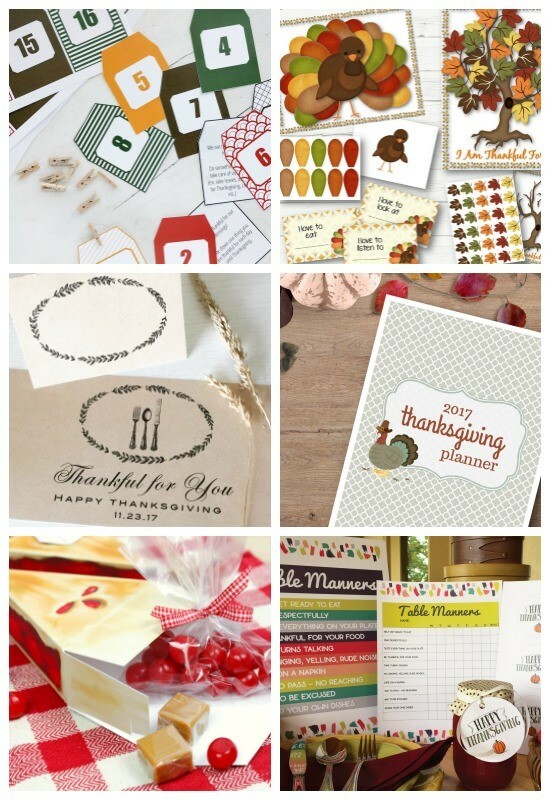 My Thanksgiving Countdown is included in this awesome bundle. This bundle is so full of festive fun, I don't even know where to begin. I got a sneak peak and I've already printed off a ton of amazing items. 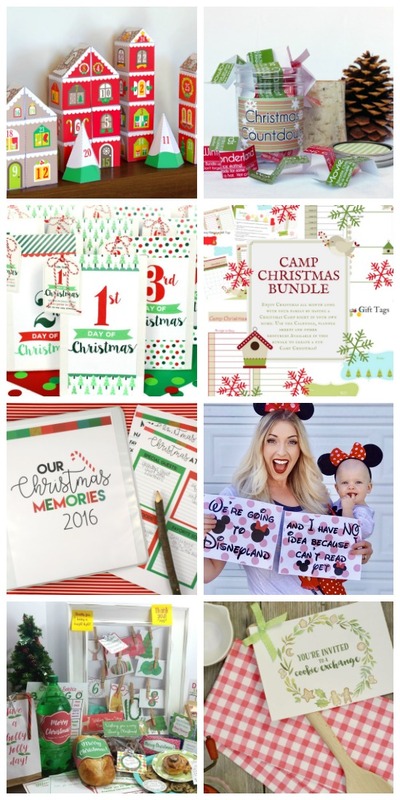 It includes OVER 480 PAGES of printables for you, all in one handy dandy holiday bundle. And it's so cheap that you'll think it's a typo. It's not. You can get over $300 worth of ADORABLE items for only $15-$20! You'll have to ACT FAST—this deal only lasts for THREE DAYS! And now, here's what you've been waiting for: THE BIG REVEAL. 1. 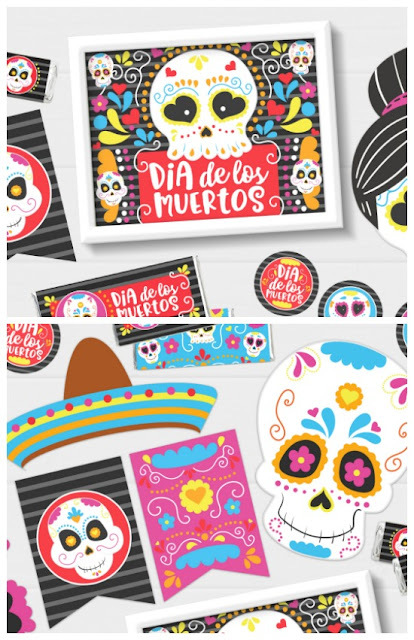 Dia De Los Muertos Party Pack by Mod Podge Rocks - Get everything you need to host a colorful and FUN party for Dia de Los Muertos! Do this as an alternative/in addition to your Halloween festivities. Included is a printable banner, favor bag toppers, candy bar wrappers, cupcake toppers, water/soda bottle labels, photo booth props, and a decorative sign. This all in one party kit allows you to focus on the food since you'll already have the decorations! 2. Thanksgiving Countdown by A Lively Hope- A 12 page kit with everything you need to make a darling and memorable countdown to Thanksgiving! Includes an activity idea for each day (plus extra blank cards so you can include your own family traditions). This is the perfect way to help your family express gratitude for your blessings and make the most of the days leading up to Thanksgiving. 3. 2 Thanksgiving Countdowns PLUS 30 Gratitude Prompt Cards by Timesavors - Countdown to Thanksgiving with this darling turkey or fall tree advent calendar! Simply print, cut, and you're ready to go! Each day, say something you are grateful for as you by using the included prompt cards to stimulate ideas and dinner conversations. Happy Thanksgiving! 4. Thanksgiving Table Printable Bundle by Paper & Taigh - Impress your guest with these swoon-worthy Thanksgiving Table Printables! It's everything your table needs for an inviting Thanksgiving dinning experience! 5. Printable Thanksgiving Planner by Peoples Life On Paper - This 23-page kit includes everything you need to plan and host a successful Thanksgiving dinner. From planning checklists and recipe organizers to menu planners and cooking schedules, you’ll stay organized and stress less! 6. Apple and Cherry Pie Favor Box Set by Piggy Bank Parties - Send your guests home with a slice of pie without having to turn on the oven! 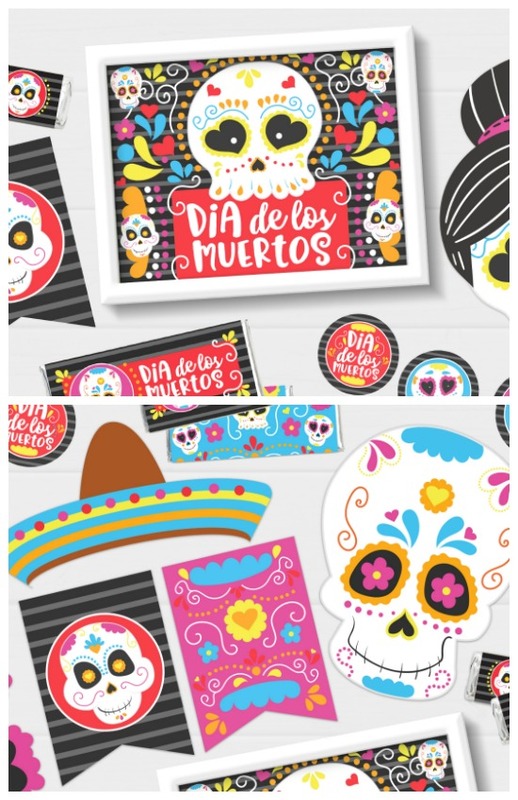 These yummy full-color digital favor box templates are great for holiday gatherings, backyard picnics and afternoon playdates. We love filling these mouth-watering slices with wrapped caramels and sour cherries! 7. Kids Table Manners Kit and Thanksgiving Bonus by The Little Inkspot Co. - This Table Manners Kit is perfect for teaching basic table manners to kids and toddlers (ages 3 - 10). Kit includes 2 printables, 1) 11 x 14 poster to hang by the dining table and 2) 8.5 x 11 table manners reward chart to help kids and parents keep track - a great way to help make family mealtimes less stressful and more enjoyable for the whole family and teach basic beginner table manners that will last a lifetime! Add these adorable Thanksgiving Tags to fresh baking, jams, or your garden's harvest and give as a thoughtful token of thanks to neighbors, friends, and family! 8. Christmas Town Advent Calendar by Little Paper Racoon - This beautiful paper Advent calendar is also a great Christmas decoration and a great construction game ! Once the boxes are filled with chocolates or trinkets you can create your very own Christmas town. Each box has its own design, and represents a piece of building (window, door, roof) or a Christmas tree. These building boxes let you choose between two colors, red or light brown to create different houses or buildings, so the combinations are endless! 9. Christmas Advent Countdown Activity Jar by While He Was Napping - Ever wish you could simplify Christmas, focus on family and make memories instead of your stress taking over during the holidays? Then you need this Christmas Countdown Jar because that's exactly what it will do. Make lasting memories with your whole family during the cold countdown to Christmas with easy and fun activities that focus on the important things - each other! Use the activities as an advent calendar by choosing one per day or use them as boredom busters over the winter break. 10. 12 Days of Christmas Service Idea by The Dating Divas- ‘Tis the season for giving! Get your family in the holiday spirit with our 12 Days of Christmas. Each night for the 12 nights leading up to Christmas, you can use this festive printable pack to leave little surprises for a lucky recipient. We have created not one, but TWO options for your holiday service spree. We have an entire pack of tags, poems, and more for gifting a neighbor, as well as an entire set of poems designed specifically with your spouse in mind! This Festive Pack Includes: Shopping List and Organizer- Gather ideas for gifts in advance and keep track of them all with ease! Bag Covers- Give your Gifts in Style! Your service recipient will look forward to these colorful bags night after night! Gift Tags- Each tag coordinates with a day and includes a poem. There are two versions available in this pack, one for your neighbor and one for your spouse-be sure not to mix them up! 11. Camp Christmas by 4 The Love of My Heart - Celebrate Christmas with the family in a new fun, creative way with Camp Christmas! This bundle has everything you need to plan your "camp" with crafts, activities, care packages, and more for the entire month of December. Who doesn't love Christmas, and who doesn't love camp? When you combine the two together, just think of all the fun your family will have this Christmas! 13. Disneyland Holiday Bundle by Beauty, Baby, and a Budget - Thinking about taking your little elves to Disneyland for Christmas this year? Or maybe even giving them a Disneyland trip for Christmas (because who wouldn’t love that?). Then this is the perfect bundle for you! It comes with a 2017 Disneyland Holiday Checklist which includes 25 things you MUST do at Disneyland during the holiday season. It also comes with a Disneyland countdown and a “We’re going to Disneyland sign” perfect for a photo op with your cute family! 14. Christ-like Christmas Service by Chicken Scratch n Sniff - Light your Christmas with acts of service this year with over 40 pages of adorable and festive printables to help you fill your season with acts of love. Sprout candy canes in your friend’s yard, leave random acts of love behind, say Thank You to those with the most festive houses. From bag toppers and advents to gift tags and candy wrappers; you’ll discover what you need to make this the best Christmas yet. 15. Cookie Exchange Party Printables by Everyday Party Magazine - The Printable Rustic Cookie Exchange Party Collection Includes the following: Cookie Box Labels, Recipe Cards , Voting Card, Favor Hang Tag, Folding Label, Party Circles, and Editable Invitations. Instructions and printing recommendations are also included. 16. Holiday Cookie Exchange Bundle by How Does She - Have you ever done a holiday cookie exchange? It's one of our favorite traditions and a great reason to throw a party with your BFF's. This bundle includes everything you need to throw a mean cookie exchange...well, everything except the cookies! 17. Printable Holiday Gift Bags by Homemaking Organized - Three printable Holiday Sparkle gift bags give you a PERFECT way to present your tokens of appreciation this season. 18. Letter from Santa Printable by Hoot Invitations - Create some magic and surprise your child with a personalized letter from Santa this holiday season! Let them know Santa is watching and on his way with this 8" x 10" PDF editable letter from Santa. All text in main body can be edited. Just print at home on a color printer - fits on 8.5" x 11" paper or A4 paper. 19. Vintage Santa Letter Kit by The CreativiDee Workshop - This stylish Vintage Santa Letter Kit has everything you need to create fun holiday memories for everyone! From Wish Lists and Letters to Treat Labels for Christmas Eve, your family is sure to have a great time with this festive collection. 20. Holiday Jam Labels & Matching Cards by Our Kerrazy Adventure - These cute jam labels make it so easy to give gifts to neighbors and teachers. Print and place them on your canning jar. You can even print out a coordinating card to write sweet note. Our printables make gift giving a breeze this holiday season! 21. Christmas Gift Name Tags, Wish Lists, & Treat Gift Tags by Papers & Plenty - These adorable, buffalo plaid Christmas gift name tags are fun and easy to use! Set includes 8 tags, personalize them with a name(s) or special message on the back, the perfect addition to any Christmas gift! Then, make Christmas shopping a little easier on Santa this year with these adorable, kid-friendly, buffalo plaid Christmas wish lists! These fill-in-the-blank lists are fun and easy to use for kids and adults! Finally, dd these adorable, buffalo plaid Christmas treat gift tags to any special holiday treat! Set includes 6 tags, write in a name(s) or special message at the bottom, fun for kids, neighbors, teachers and more! 22. Fun Holiday Gift Tags by Pretty Paper Violet - Give your family and friends a smile this holiday season with this collection of printable gift tags. Perfect for your DIY gifts and anything else that lands under your tree. Print as many as you need for this year and next! 23. Holiday Fun Coloring Pages by Printable Crush - Enjoy Coloring these Holiday Coloring Pages for adults or kids! Includes 10 pages for the major US Holidays. Print these pages over and over again and try new coloring styles for gorgeous holiday art. 24. All Inclusive Holiday Binder by Thirty Handmade Days - Get ready for the holidays with this awesome All Inclusive Holiday Binder. Not only is it fun and colorful but it will help you stay organized during the chaos. You can download party prep, calendars, checklists, budgeting sheets and more! 25. New Year's Photo Booth Props by Simply Everyday Me - You'll enjoy ringing in the New Year with these whimsical & kooky photo booth props by SimplyEverydayMe. This kit consists of 45 DIY printable props including: Top Hat, Happy New Year’s Hat, Bowler Hat, Party Hat, Party Crown, Champagne Bottle with Cork, Champagne Glasses, Martini Glasses, Father Time Beard & Mustache, Sickle, Pocket Watch, Hour Glass, Big Clock Face, Baby New Year Hat/Hair, Baby New Year Sash, Baby New Year Mouth, Binkie, Glasses, Star Glasses, Bow Tie, Pearl Necklace, Party Blower, Party Blower Fringe, Camera, Snap Burst, Fizz Burst, Pop Burst, Mustaches, Lips, and Instructions. Plus information for materials needed & paper suggestions. 26. 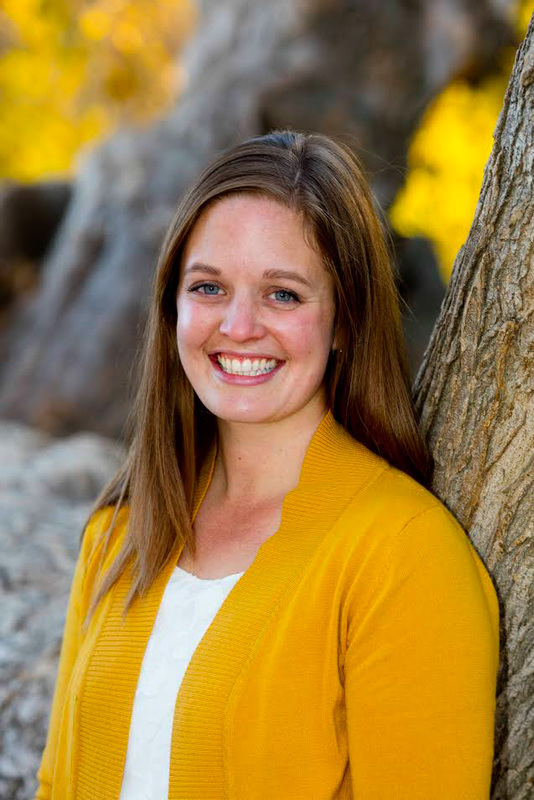 Make Over Your Year Course by Money Saving Mom - Make Over Your Year is a simple, effective 4-week, hands-on course to help you take your big dreams and ideas and turn them into realistic goals and a doable action plan. When you download this course, you'll get immediate access to 4 group coaching session videos, a 47-page printable PDF workbook, weekly projects to break down the goal-setting process & set yourself up for success, and printable worksheets to take you step-by-step through each of the projects in the course. 27. New Year- New Marriage Pack by Enduring All Things - Commit to making this year the best yet for your marriage! We make all kinds of resolutions in the new year, why not add your most important relationship to that list? The New Year - New Marriage Pack includes a cheat sheet to use for weekly couple check-ins, a list of fun holidays to celebrate together this year, a template for a date night bucket list and more. Use these to bring your marriage back to the top of your priorities this year! 28. Couple's Journal by The Happy Life Balance Co. - Bring positivity and kindness into your relationship with this Couple’s Journal. In this journal, you will complete a series of daily and weekly exercises which are designed to help you gain a deeper appreciation for each other and learn to enjoy the time you spend together more. 29. Printable Goal Planner by Jessica Marie Design - Stay organized and keep up with your goals with this printable Goal Planner. 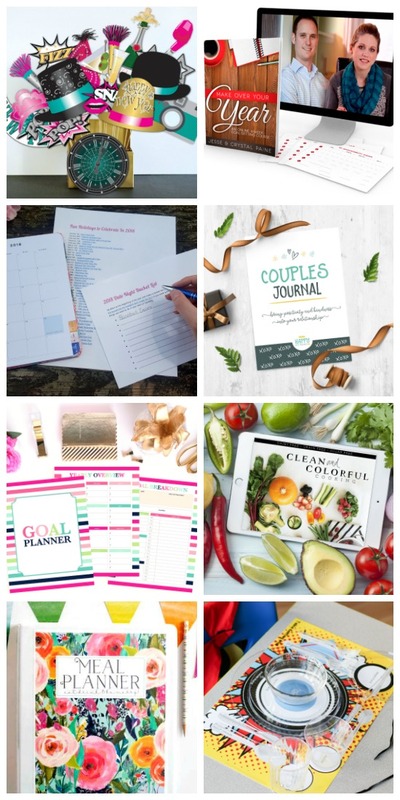 The printable planner can be instantly downloaded and printed at home or a local print shop. The Goal Planner is perfect for organizing and keeping track of your goals. The Goal Planner includes 10 unique pages including yearly overview pages, goal overview pages, a goal breakdown page, and goal tracking pages. Simply download the PDF files, open them in Adobe Reader, add text to the fillable sections, print on Letter size paper, and insert into a binder. Use the files over and over every year! 30. Clean & Colorful Cooking by Ashley's Fresh Fix- 32 deliciously colorful recipes made exclusively with whole, real food. All are dairy free, sugar free, and grain free! Including a variety of breakfasts, entrées, light fare items, dips, and desserts! Perfect for helping you stay on track during the holidays and into those New Year's resolutions. 31. Printable Meal Planner by Carrie Elle- This printable meal planner has everything you need to take control of dinner once and for all! Plan your weekly meals and also holiday gatherings and parties with this pretty and functional planner. 32. 11x17 Themed Table Setting Placemats by Linda Winegar - Themed Table Setting Placemats meant for families, teens and kids! Perfect for at home practice, at a restaurant as a reminder, while teaching an Etiquette Class or for table setting relay races! Patterned after the official standards of etiquette which The Emily Post Institute continues to teach for proper Table Settings. Each theme adds a special flare to your table! If you purchase the holiday bundle through my link, I'll send you an additional gift: my darling Nativity Paper Dolls set. 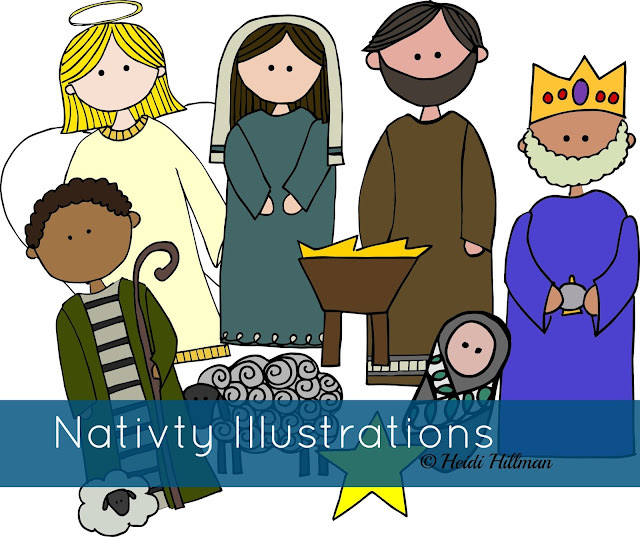 Hand-drawn illustrations of the Christmas Story. These can be used in so many ways: cut out and laminate them for use in church classes or for at-home play. Perfect for flannel boards, too! People are approximately 5.5 inches tall. WHEW! So there you have it. Pretty much everything you could ever want for the holidays. Midnight MDT on the 13th, this deal is gone FOREVER!